Depending on the financial situation of a buyer, the lending process—as well as underwriting—can be a lengthy one. 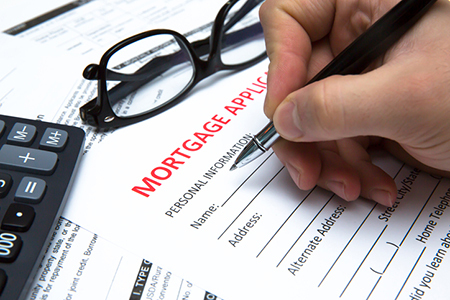 While underwriting is a thorough practice that carefully assesses a buyer’s ability to repay a large sum of money, loan applications are still open to the possibility of defects, fraud and misrepresentation—and many market factors, such as rising interest rates, may be incentive enough for consumers to submit false income information in order to acquire a home loan. First American Financial Corporation, a global provider of title insurance and settlement services, recently released its April 2018 Loan Application Defect Index. The report analyzes mortgage loan defect rates, or the Defect Index, estimating the frequency of defects, fraudulence and misrepresentation in the information submitted within loan applications and breaking down data by geography and loan type. The findings? Compared to last year’s results, the overall Defect Index increased by 1.2 percent. The refinance segment is seeing the most fraudulent or misrepresented information within loan applications, with the Defect Index increasing 7.6 percent since last year. Meanwhile, the Defect Index for purchase transactions is down 2.2 percent since last month, but up 2.2 percent from last year. The overall rate, encompassing all transaction types, is down by 19.6 percent from its high point in October 2013. The reason for this long-term winding-down? Experts say the ability-to-repay rule—requirements set by the Consumer Finance Protection Bureau (CFPB) in January 2013—have strengthened underwriting practices, discouraging consumers from submitting false information on their loan applications. The Defect Index varies widely by state. According to the report, Arkansas (+16.7 percent), Wyoming (+13.5 percent), New Mexico (+13 percent), Virginia (+12.2 percent) and Maryland (+10.8 percent) have the greatest year-over-year increases in defect frequency, while South Carolina (-13.3 percent), Louisiana (-12.9 percent), Minnesota (-10.6 percent), Alabama (-10 percent) and Vermont (-9.6 percent) have the greatest decreases year-over-year.